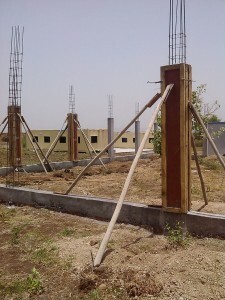 India – Last month in record breaking heat the foundation and pillars for the GBC dining hall were set in place. Our leadership and construction teams are to be commended because they kept going and as a result, the roof is currently being put on. This is a 40’ x 60’ dining hall but will also be used as classroom, media and game room besides a place to feed our students and hundreds of pastors and women who attend our training conferences several times a year. It is designed with an indoor-outdoor lodge feel. Below is an update on the financials for the dining hall and kitchen. 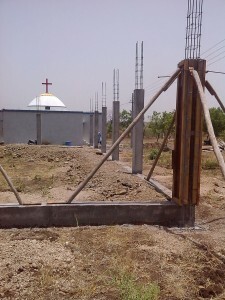 We praise God and thank you, our generous partners, for what has already been provided for. Please join us in praying for the $30,000 needed to complete this phase, as classes begin next month.